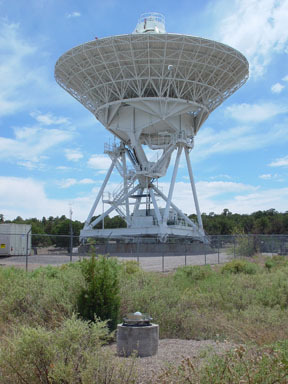 A site maintenance visit was recently conducted at the PieTown, NM (PIE1) IGS station. The station is co-located with the PieTown VLBA station. After an earlier antenna replacement this summer an anomalous error was noticed, manifesting itself as a large position offset. A subsequent visit was made to attempt to determine the source of the error. The newly installed Ashtech chokering antenna was replaced once again with the original AOAD/M_T antenna and powered GPS signal splitter. Additional measures such as a cable replacement, cable connector cleaning, and other maintenance items were taken to mitigate potential problems. Preliminary results show the position offsets to have reverted to pre equipment- change levels. The station data is once again being published to the IGS community and users.